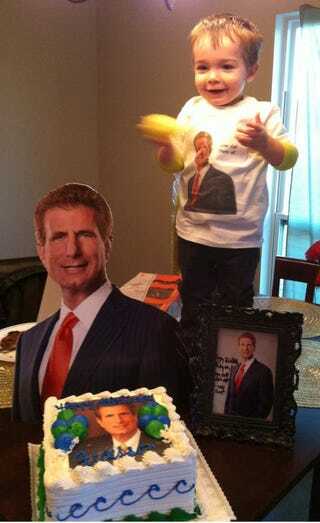 So I just read the Morris Bart post on the MP, about the two year old who is so obsessed with the personal injury lawyer that it was the theme of his birthday party. First off, how adorable is this picture? Second, now I want to know what other weird things people were totally all about as kids. I loved it so much, this is actually how my sister would get me to lift my arms whenever she dressed me. I still think about it when I do those swan arms workouts! So, confession time. What was the weirdest thing you really got into as a kid? Top photo taken from The Advocate.